We’d love your help. 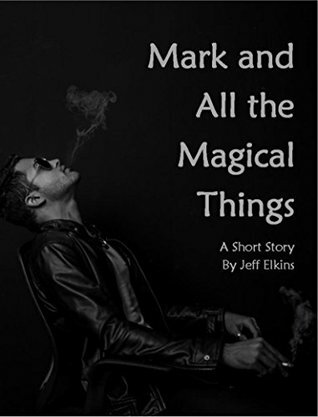 Let us know what’s wrong with this preview of Mark and All the Magical Things by Jeff Elkins. Mark has a problem. He's looking for love. Aided by mysterious and surprising magical things, in his search for love, Mark learns about himself and is transformed. This short story is filled with surprising moments of moving dialog and dark humor. You'll laugh and cry alongside Mark as he goes on an unwanted journey of personal discovery. To ask other readers questions about Mark and All the Magical Things, please sign up. This is a story that I didn't think I would like. It was a great read and it has ups and downs threw the whole story I am glad I read this story. I recommend this book to all . I read some of these stories for free. I got the book because I wanted to be sure I hadn't missed any. I now keep an eye out for Mr. Elkins' short stories and novels.